→How Many Acupuncture Sessions Do I Need to Get Pregnant? Acupuncture is a traditional Chinese medicine. The process involves placing of thin disposable stainless steel needles in particular spots of your body. Experts say that these needles kindle the body’s energy stream through specific points. Specialists insert the needles to parts of your body depending on the purpose of why you chose acupuncture. This ancient procedure is famous for its ability to offer relaxation and switches your whole body system to repair mode. Is it true that acupuncture can increase your chance of getting pregnant? There is actually no solid results from studies regarding this method. However, fertility doctors recommend acupuncture to couples who want to be parents. Logical reason behind is the capability of acupuncture to minimize the stress level of an individual. Stress hormones are one of the leading causes of a low level of fertility hormones such as progesterone. Many women testify that they conceived within their acupuncture treatment timeframe. It is either they have gotten pregnant on their own, or acupuncture is effective; they cannot be certain. If we consider the theories that come from modern Eastern and Western acupuncture medicine specialists, it states that the ancient method improves the regulation of menstrual cycles, ovulation, and hormone levels. Do you know that it helps in the increase of blood flow to the uterus, lessens morning sickness, and aids development of high-quality eggs and sperms as well? No wonder they say that acupuncture could be the reason of enhancing higher fertility rates. When is the right time to start acupuncture fertility treatments? I am surprised to know that I can begin my acupuncture sessions anytime I please. I learned that women could start treatments as soon as they want to conceive, or after a long period of waiting for the BFP. The ancient practice is even safe for women who are on their first trimester. I found out that I could not tell how many acupuncture sessions I need to get pregnant. However, they suggested that it is best to start the treatment three months before conceiving. Once or twice a week is a good start and often is the preference of many. I got various answers as well after asking friends who believe in this treatment. Some made it earlier than 6 months and others longer than that. What happens if I suddenly get pregnant during the sessions? It is consoling to know that acupuncture is safe and healthy for pregnant women. Therefore, finding out that you finally are on the way, it is not just good news, but an acceptance of a new life ahead as a mother. Do you know that nowadays, acupuncture is already a part of the healthy diet and lifestyle when you are expecting? There is no need to stop the sessions. 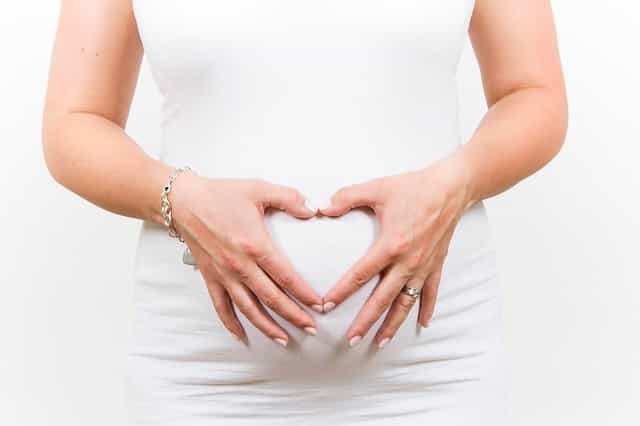 In fact, continuing your sessions are highly recommended to keep you relaxed; it also lessens the feeling of nausea and can be a big relief for aches until the later part of the pregnancy. There might be different replies to this question because anyone is different from the rest. It may be true that the sessions are effective to you, but is exactly the opposite of others. Hence, the effects of acupuncture as moms would share varies in so many ways. It could work well for you but does not have any impact on some. It sure feels great for me! Do you know how it feels like during an acupuncture session? Each session could last an average of one and a half hours. At least, that was how long it took me to finish my first session. The comfort of the private room helps in conquering my fears of needles. It was not bad at all, considering that I paid more than a hundred dollars for the experience. I felt calm while resting even during the part when they were inserting the tiny needles. I was thankful that experts could insert the stainless steel needles gently so I cannot feel pain. I have a regular date with my acupuncture session. I love the peaceful and relaxing vibes it brings during and after each process. It does not matter how many acupuncture sessions I get to get pregnant. I am positive it will happen one day. For you who want to try this soothing break, I suggest asking your doctor for a thorough medical evaluation before doing so. Nothing is safer than being proactive. Cheers!